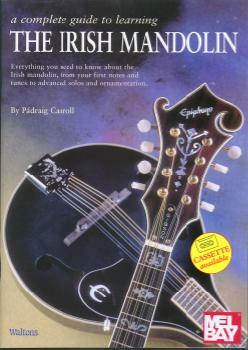 The mandolin has become an integral part of the Irish music scene. In this book, you will find a carefully graded set of lessons and tunes, designed to help you master the skill needed to play Irish music with authority. Each section includes a clear statement of goals, and a review with exercises and ideas for further development. The book encompasses a wide range of material, from the lyrical simplicity of waltz-time tunes such as Gleanntan Gaoith Dobhair to great and popular session tunes such as The Star of Munster. In between are several slides and polkas from the Sliabh Luachra area in the Southwest or Ireland. Four original tunes by the author and a special section on ornamentation included. The accomplished mandolin player coming to Irish music for the first time should find plenty of interest here. Standard notation only. The companion cassette referred to on the cover is only available directly from Waltons of Ireland.